The eminent importance of Very Long Baseline Interferometry (VLBI) in geodesy and geophysics is due to its connection with a quasi-inertial reference frame defined by compact extra-galactic radio sources. VLBI is unique in its ability to monitor without hypotheses all components of Earth orientation. Thus, the technique is essential for the definition and maintenance of the celestial reference frame, for the determination of Universal Time (UT1), length of day (lod) and polar motion and for monitoring the motion of the celestial pole (precession and nutation). Newest VLBI results are presented on these topics, e.g. 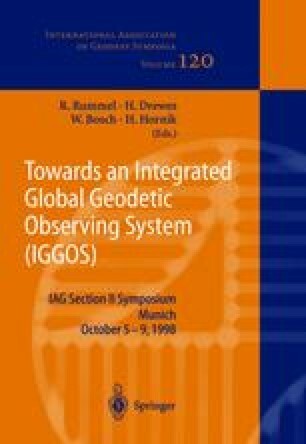 determination of the Earth rotation parameters with highest temporal resolution and observation of the Free Core Nutation (FCN). By wavelet analyses of UT1 and nutation time series quasi-periodic effects could be exactly localized. An overview about the international VLBI collaboration is also given.